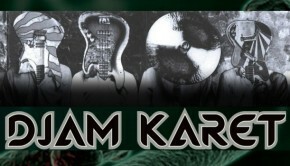 Let’s take a trip backwards through time and space with those rather groovy veteran American spacerockers Djam Karet. Trawling the floating cosmic debris and detritus keyboard player Gayle Ellett has caught some real gems in his net…was that a sample of Take 5 on Voodoo Chases The Muse? Possibly, possibly not, but in releasing these hitherto hard to find if not impossible to find gems, originally released on long forgotten compilations and fund-raiser albums, Ellett has found some sonic delights for sure. This opening song, built around a simple bass keyboard motif funks along in a louche fashion, and sounds not a million miles from one of those trademark Amorphous Androgynous remixes, changing tack halfway in as sequencers burble and that piano riff hits. Out here we is stoned and if not immaculate, at least rather well turned out. 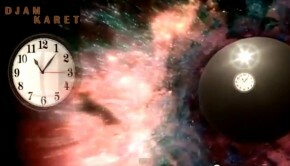 Commencing in 2006, the time machine stops off at 2005 twice, 2001, then a bigger leap back to end in 1990, again twice. 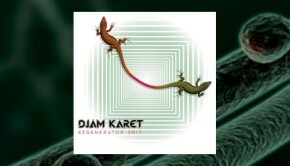 Djam Karet have released nearly twenty studio albums to date, and I have a few of them on my creaking and overburdened shelves, the latest being Regenerator 3017 which came out last year, but all these tracks are new to me making this a “new” album in every way that matters. A feature throughout is the spacey synth work, sometimes recalling Klaus Schulze, atop which Mike Henderson’s psychedelic guitar cuts the time-space fabric asunder. 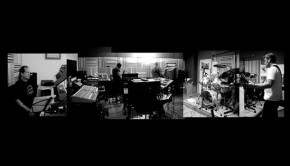 Always embellished by Chuck Oken Jr’s percussion, both acoustic and electronic, a track like Pentimento forges a hypnotic beat below which dark low bass synth rumblings are layered with Mike’s blazing apostle guitar to great effect. As we regress through time the music becomes more Spartan, with some very strange noises permeating New Light On A Dark Age, which would not sound out of place on an Ashra album until a more conventional beat from Chuck sends the charabanc off down the highway of modern spacerock to find Jean-Michel Jarre waiting at the crossroads. 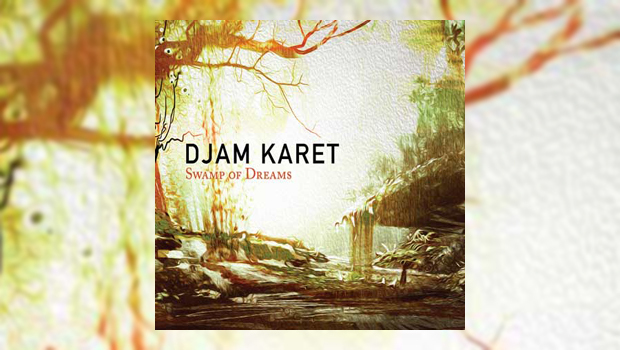 Perhaps Øresund Space Collective and Djam Karet are soul brothers on a joint (heheh) quest for the origin of those famed Moog playing moggies, at least judging by the sample on the eerily ambient Inventions Of The Monsters? After the cosmic ambience of the intro, the jolly funky slap bass suddenly arriving two and a half minutes into the title track comes as a bit of a shock, but once you settle into the tune’s café spacerock easy groove, it proves to be an enjoyable end to an intriguing and highly varied album. Consistently remastered throughout by Gayle Ellett, the sound is wonderfully full of detail and even the older tracks shine given their age, especially the title track which sounds like it was sourced from a cassette tape. A must have for both fans of the band and fans of modern inventive spacerock in general.